Middle Eastern men didn’t run in public, to do so would be scandalous and unbecoming, it exposed them to public shame. More specifically, to do so for a son who has already shown great disrespect by asking for his inheritance early (which was akin to treating his father as if he were already dead) would be perceived as a great show of foolishness and weakness. At this point in the story it was the son’s duty to come to the father and apologize and beg for forgiveness. Despite these things the father still runs after his son, and he does this publically, for the entire the village to see. Why? He does this to shield his son from the wrath of the Village. 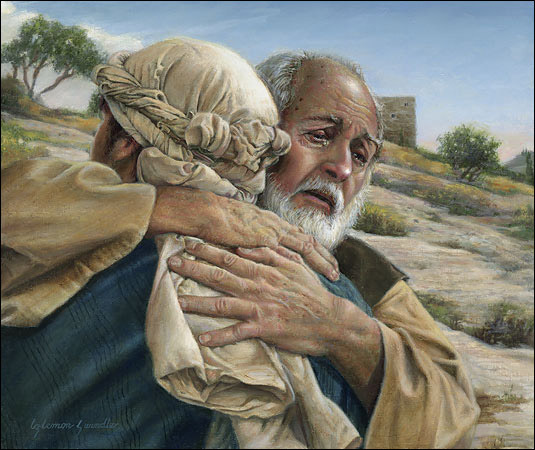 The Prodigal Son brought much shame upon his family by asking for his inheritance early and the proper response of the community was to have nothing to do with him, to cut him off. If the father treats him well, everyone else will treat him well. And that’s exactly what happens, a party is thrown and all are invited because this son who was dead is alive again. Restored by the foolish love of his father. Such foolish love that doesn’t need anything from us.